Fancy a horse of your own? Realta Horse Racing Club might be the answer! Recently formed Realta Horse Racing Club has seen it’s first horse go into training with Stuart Crawford at Newlands Farm. The as yet unnamed Presenting four-year-old filly comes from the same family as two time winner of the Irish Sweeps (Boylesports Hurdle) and Irish Champion Hurdle winner Fredcoteri. Realta’s first horse is a sister to the exciting Nicky Henderson trained prospect Playhara. The bay is by top National Hunt sire Presenting and is the second produce out of the Sir Harry Lewis mare Harringay, trained by Henrietta Knight, who won a bumper, a chase and whose three wins over timber included the Listed John Smith’s EBF Mares National Hunt Hurdle Final at Newbury. Registered Agent for the club, Sean Maxwell, said “it was our trainer, Stuart Crawford, who recommended this filly to us. 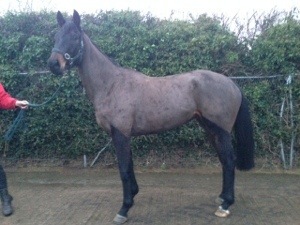 Our horse has been in training since early January and we have some shares available in her as we speak”. When asked about the club Sean stated “We are a professionally run club who will offer days out at local tracks and beyond. 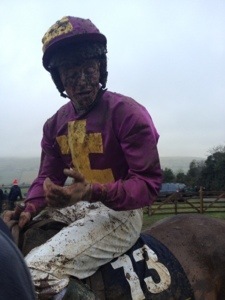 We bring entry level racehorse ownership to racing enthusiasts in Northern Ireland. If the horse racing public want to foray into ownership I believe Realta should be their first option considered”. Realta Horse Racing Club recently had coverage in the equine newspaper The Irish Field and have a good presence on Social Media platforms Facebook and Twitter. According to Sean they “bring all the fun and excitement of owning a thoroughbred racehorse at a fraction of the cost of full ownership”. There are a limited number of shares remaining in the Presenting ex Harringay filly. The club can be reached through their website http://www.realtahorseracing.com or called directly on 07513793957 for more information. Go on its surely worth a call! Lets get some advice on finding that winning racehorse. So I’ve decided that I want to own a horse, not any old pie bald or plough horse but a racehorse, a real live racehorse. But not only that its got to be a winner, not necessarily of the Aintree Grand National nor of the Irish Derby ,at this stage at least, but a winner in 2014. It makes no difference to me where it wins or what it wins, it just has to win.The Trinidad and Tobago Selling Plate will do, but its just got to win!! So that sounds and seems simple enough to me, but always knowing my own limitations I decided to reach out to the Irish racing authorities here in Ireland for guidance. How would I contact them? Should I ring up and make an appointment? Will I wait to bump into one of the Horse Racing Ireland crew at the races?How would I know them if I did bump into one of them? Will I give the Horse Racing Ireland CEO Brian Kavanagh a call ? In the end I decided to use the technology that we are now on and set about finding the information that exists on the good old world wide web. So clicking on to Google I decided to search for race horse ownership! Ignoring the first couple of advertised entries I saw goracing.ie and decided to have a quick look and see. Horse Racing Ireland have a nice simple guide to racehorse ownership so I printed it off, I know I’m a little old fashioned that way but sometimes I need to hold paper in my hands and read the words! There was a nice message from Brian Kavanagh of Horse Racing Ireland. I’m sure he would have been too busy to take my call in person , but his message does offer “every assistance” from the racehorse ownership manager in Irish Thoroughbred Marketing or any member of the registrations team. I told myself to note this offer and to use it at a future date in this search for that elusive winner. Brian worried me a little by stating that “we can not guarantee success on the track” but surely a winner cant be that difficult to source! But I insist on reading on. The welcome page is much more positive, “win at the highest level” is mentioned, “winners” “celebrated race courses” are referred to syndicates dont just compete “they now win ” They tell me that racehorse ownership “is no longer the unattainable preserve of the wealthy few” Yes this is much more like it , I’m only on page four of the guide and I’m hearing what I want to hear. The last paragraph of the page tries to row back my enthusiasm. They link a thread together “of ups and downs, the expenses and realities, with thrilling possibilities” Hmmm maybe Brian has a point! I run on through Getting Started, Selecting a Trainer, my eye falls onto the possible budget figures from €15,000 to €20,000 per horse, per year!!!!! Its not a mortgage as you are not tied in for 25 or 30 years but its a fairly hefty sum out of one pretty shallow and fairly empty little pocket! But I’m not frightened, a little dazed perhaps, but I stay with it! Training agreements are looked at ,Trainers locations are mentioned, their duties, entries, jockey bookings! My mind is now racing onwards, I’m at Tramore, no its Gowran Park, Ruby is coming over to talk to me, we are introduced, he is slighter in person when you stand into him, I listen to the trainers instructions, I wish him well and then I snap out of my dream and continue reading , naming applications, that could be fun, owner /trainer communications, that could even be more fun! and then the word balloting pops up, another note is made to find out more about this. The guide continues with thoughts on acquiring a racehorse, the type of ownership that might suit me, we are up to page 12 and we are back to Money Matters, with outlines of prize money, racing charges and cost if ownership. Well thats me fairly well told, no guaranteed winner and its going to cost me!!! Till the next time in search of that elusive winner. In search of that elusive winner! The hay was saved without rain, the Single Farm Payment is in the Bank, the little shop turned over a few quid more than previous years, orders are up, the job is a little more secure and Enda tells the Troika that we don’t need them anymore, I’m picking up good vibrations here and my thoughts shift towards looking for and finding that elusive winner!! Yes 2014 could be the year that I will secure that horse which will win a race, any race for me. I’m not in the least bit fussy, I don’t care whether I owe 4 legs of it, 1 leg of it, its off fore, its right ear or a hair in its tail, I just want to say that, that horse, no I need to be more specific, that winner, is mine. Over the coming weeks and months I am going to look at the options that are offered to you, me and all of us in this task. I will visit the Sales Rings, speak to Bloodstock Agents, I will look at the Syndicate option, talk to Owner/Breeders, scrutinise the veterinary surgeons views, ask a trainer or two what they like to see in a horse, will it be a flat or a national hunt horse, what sire or dam line to pick from and look at the costs involved. In the meantime let ‘s list a few options of where we can pick up a potential race horse or at least have a look at one or two very soon. Arqana, Brightwells, Doncaster Bloodstock Sales, Goffs, Goresbridge, Tattersalls Ireland and UK are all scheduled to hold public auctions this year in Ireland, Britain and France with an entire mixture of stock on offer. In addition to this, new options of horse ownership have been developed with leases and syndication becoming increasingly popular such as Realta Horseracing , while we should never forget the option of buying privately, from the classified advertisements or out of the field! New technologies are being utilised to find new ways of buying or selling with custom built websites for example http://www.paradering.ie now in operation. So, what’s next? Stay tuned and we will see where this elusive trip brings us.